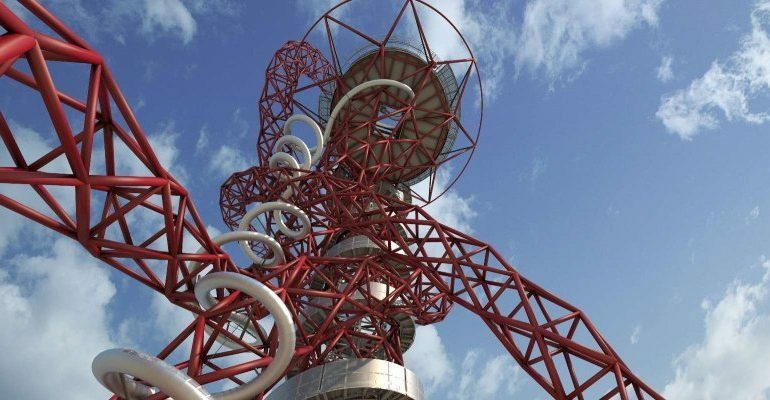 Home » Go for GOLD at the Olympic Park: Take part in the UK’s highest freefall abseil! Go for GOLD at the Olympic Park: Take part in the UK’s highest freefall abseil! Looking for a different New Year challenge? Want to get your adrenaline pumping and do something different? Join us 3 September 2017 and take part in the UK’s highest freefall abseil from the Orbit tower in the Queen Elizabeth Olympic Park. You can feel like an Olympic champion and help us to raise much needed funds at the same time! Abseiling down the Orbit – the UK’s tallest sculpture – is the adrenaline-fuelled way to see London at 262 feet above the city. Wire and Sky provides trained professional instructors who give a comprehensive safety briefing and provide all the specialist equipment required before escorting you to the upper viewing platform at the ArcelorMittal Orbit. From there, you begin an exhilarating descent to the ground, taking in breathtaking 20-mile views across London, including buildings such as The Gherkin, St. Pauls, Canary Wharf and Wembley Stadium, as well as the world-famous sporting venues of Queen Elizabeth Olympic Park. Registration costs £40 (includes t-shirt and pack) and we ask all participants to pledge to raise a minimum £200 in sponsorship. Time slots cannot be allocated at this time but we will be able to do so nearer the time. •A weight of less than 19 stone (120kg). •Able to wear a harness which has a maximum width waist of [130cm] and a maximum upper thigh width of [75cm] which are the maximum measurements of our harnesses. •If you do not meet these requirements you will not be permitted to Abseil. If you’re interested to hear more and you fulfil the above criteria, email [email protected] to find out more.